Join Volunteer Naturalists Mary Ekelund and Paul Larson for a moderate 3-mile hike up a wash into Truckhaven Rocks to a sandstone formation 4-5 million years old. These rocks are formed from sediments derived from local rock, are steeply tilted to the north, and have been called the “Swiss cheese” of our local desert. At one point we can climb up one of these tilted slabs for a great view. Bring water, snack, hat, and sturdy hiking shoes. Meet at the half-circle parking area near mile 36.2 on Highway S-22 heading east to the Salton Sea. 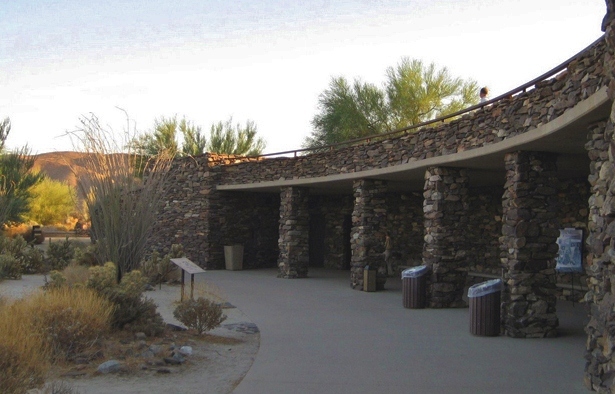 Earthquake geology, local history and desert plant life will be the focus of this hike. Meet Volunteer Naturalist Ted Caragozian at the call box across from Thimble Trail on S-22 at Mile Marker 31.9. Bring water and sturdy shoes for this 2-3 mile roundtrip hike on uneven ground.